Who doesn’t love a good beauty shopping trip? Trying new skincare and makeup is one of my favourite things to do. I love the excitement of trying new products. Although these days, I never try anything straight away, it always stays hidden until I have taken my blog photos for it! 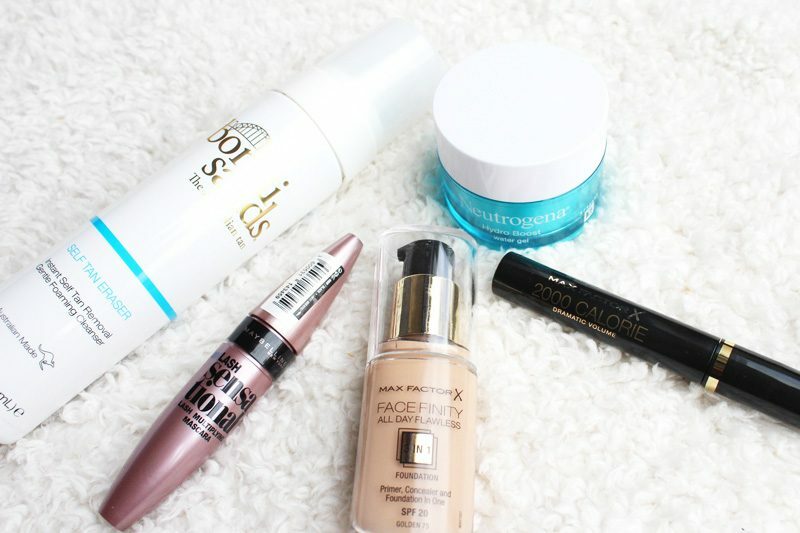 Whilst I was on holiday, I took a trip to Boots and managed to pick up some new goodies, most of which I have never tried before. After I put myself on a ‘spending ban’ in July, I treated myself to a few new beauty products. For any of the following that I haven’t tried yet, I’ll be posting updates once I have tried them, so that I can let you know my thoughts. 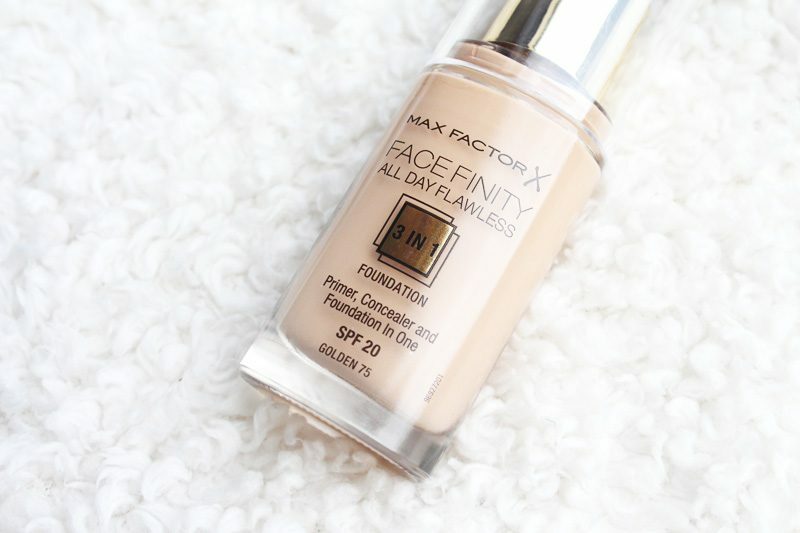 Max Factor Facefinity All Day Flawless Foundation. This is a completely new brand to me – I’ve never tried Max Factor before. I’m not sure why – but there is always a first! This is the Facefinity All Day Flawless Foundation, which costs around £13. Definitely at the higher end of the high-street foundation prices, but ridiculously expensive. But, the slightly higher price means I expect it to be a good ‘un! I usually ignore the 3-in-1 claims on products. I’m sure I will still end up using a primer and concealer with this but it just looked like a really lovely choice. I bought the colour ’75, Golden’. This was the darkest colour they had on the stand – and I’ve never been the darkest shade before. The shade range runs pretty light. I bought this one to match when I have a layer of self-tan on. From swatches, it seems like it will be the perfect match! I think I first spotted someone use this on Instagram a while ago, then forgot all about it. When I spotted this for half price in Boots, I couldn’t help myself. Something about the gorgeous blue pot drew me in, it looks so soothing and hydrating. Good marketing tool, it definitely worked on me! So, if you haven’t noticed, hydra-boosting products are everywhere at the moment. So many beauty products are supercharged with hyaluronic acid and my skin is so thankful for it. If you have dehydrated skin, try some skincare with hyaluronic acid in. It isn’t scary like it sounds – it allows your skin to hold so much more water, so your skin feels hydrated. I have been loving the L’Oreal Aloe Water that I featured in my highstreet beauty haul, so I thought this would be an interesting one to compare it too. 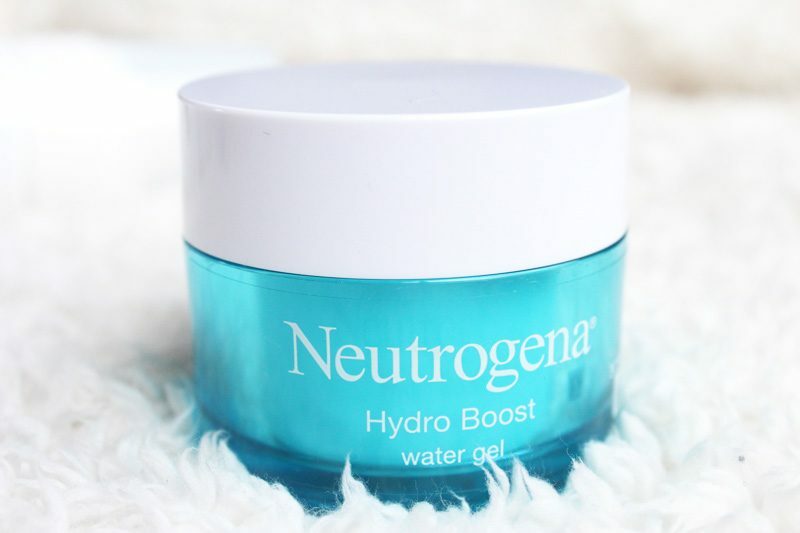 The Neutrogena Hydro Boost Water Gel does just what it says on the tin. I have used it once already and I have a new favourite. It feels thick, cooling and hydrating when you apply, sinks in quickly…and you’ll be left with the softest skin ever! No residue or shine on your skin either. I can’t wait to try more of this. I know I know, it could be a gimmick. But I have wanted to try this since I first heard about it, and Bondi Sands are my favourite gradual tanning brand so it only seems right that I give it a try! The idea of this one is that you apply to your old tan and wait 5 minutes. Then, when you come to take your tan off, you shouldn’t need to scrub as much. I love the idea that this could make things quicker! It costs around £15, and I love Bondi Sands so I really hope I like this! I know this product has had a lot of hype around it, so I plan on writing a full, more in-depth review once I’ve tried it. 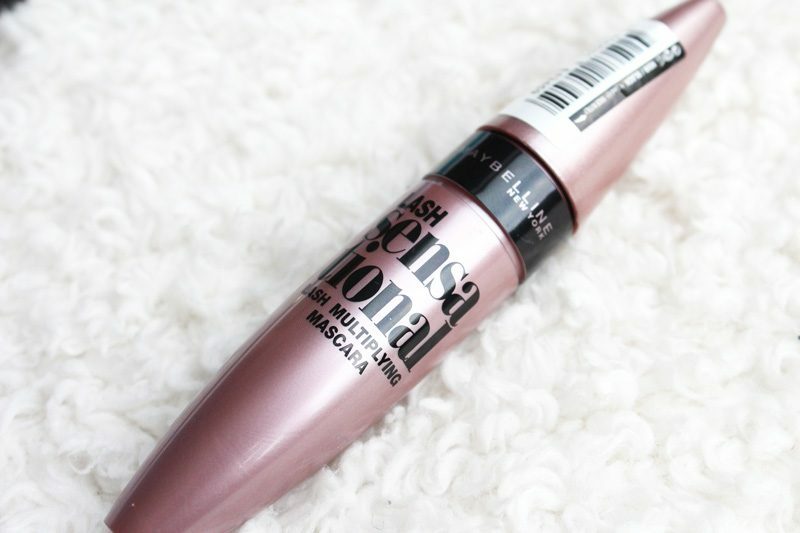 Finally, a couple of mascaras – my favourite beauty product! I bought the Maybelline Lash Sensational Mascara – which has been my all-time favourite since I first tried it a couple of years ago. I feel lost if I don’t have one of these in my makeup collection. It gives you the thickest, defined lashes ever. It can be a little harder to take off, but I honestly don’t mind this because it makes such a difference to my lashes. 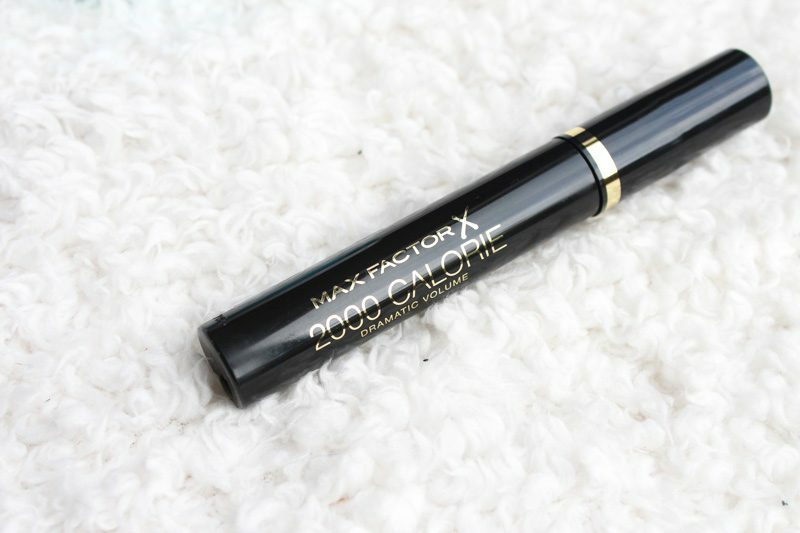 I also picked up a Max Factor 2000 Calorie Mascara for my mum as this is her favourite. I’ve never tried this one myself actually. So that was everything! I am so excited to try the new products. Have you tried any of these? This post contains affiliate links. See my full disclaimer for more details. 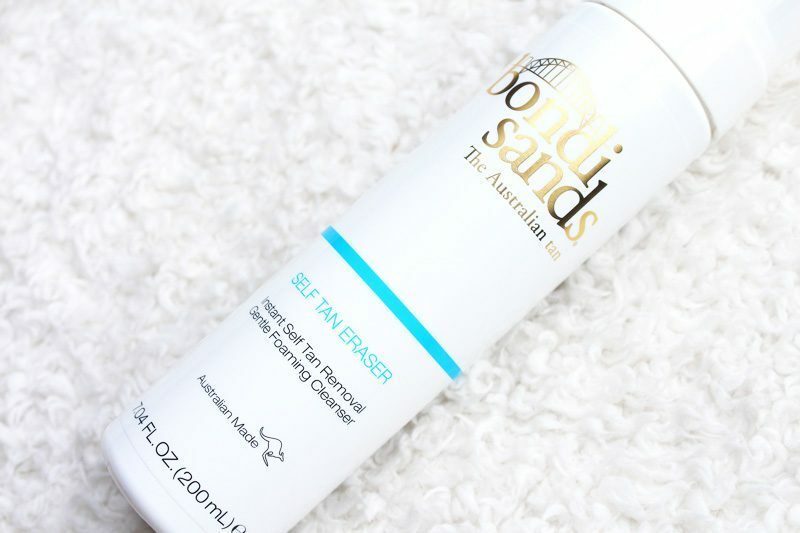 I loved this post, I really want to try out the Bondi Sands Tan Eraser, I’ve heard so many good things about it. I love the Max Factor Facefinity, although the only thing that disappointed me was that the bottle didn’t last as long, which to be honest is the only reason I didn’t repurchase it. Fab haul! The Neutrogena water gel sounds like a good one! Definitely want to try that one!